There are rules in life that we’re often told to follow if we want to do well. From adding bedrooms to a house to boost its value, to saving for retirement from as young an age as possible, the list is as long as a bank statement. But how many people would have imagined that buying a grotty old banger could make them a small fortune? Yet it’s true. In November, the sales results for run-down old cars sold at auction revealed something that would have wealthy sports car owners choking in disbelief: old bangers from the 1970s made a greater return on investment than Ferraris from the same era. The astonishing figures were published by Classic Car Auction Results. It compiles the prices cars sell for at auction houses, including Anglia Car Auctions, Coys of Kensington, H&H Classics, based in Warrington, and Historics at Brooklands, in Surrey. After taking the results for 1970s Ferraris and Fords, which were sold between 1996 and 2016, it found that while the Ferraris rose in value by 320 per cent, the run-of-the-mill Fords climbed by a staggering 340 per cent. Is this a one-off fluke? The trend is not a one-off. Other humble hatchbacks and family cars from the 1970s and ’80s are rising in value. Often, it’s their rarity that is fuelling the boom in price. For so long unloved, and with so few drivers to care for them, household names like the Austin Maxi, Ford Cortina, Morris Marina and Vauxhall Chevette have rusted into obscurity and become some of the rarest cars on the road. 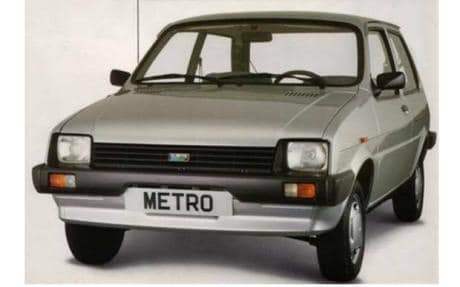 Also on the list are the Austin Metro and the Ford Sierra, formerly two of Britain’s best selling cars. Some classic car buffs blame the Government’s scrappage scheme for bringing about the demise of classic motors. After the financial crisis, from 2009 to 2010 the government matched a £1000 incentive offered by the motor industry, meaning drivers of any car with a valid MOT could trade it in for a new model and get a £2000 discount. So many popular models were lost that one classic car insurer, Classic Line, launched a campaign to save the remaining models: Save Our Classics. Which cars might rise in value next? Some are already climbing. An MG Metro, which would have been worth a few hundred pounds in 2000, sold for £3570 last year. Specialist examples of the Ford Sierra, known as the RS500, have been sold for nearly £50,000 (some for more, through private sales). 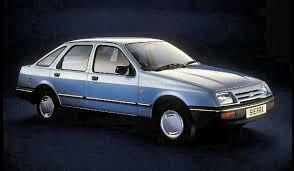 More basic Sierra 1.8 models are going for nearly £4000. And the once hugely popular Ford Cortina is now so rare that values have shot up, with 1967 Cortina 1600Es selling for nearly £10,000. In 1998, the Morris Marina coupé was selling at auction for just £175 – less than most bicycles. By 2015, it was selling for £4200. What are cars from the late 1970s and ’80s like to drive? If you’re a relatively young driver and have never sampled the delights of cars from the 1970s and ’80s, you could be in for a rude awakening. They typically feel about as robust as the homemade shed your mum and dad built in the garden – which had a nasty habit of toppling over if you leant on it. Noise is an issue, too. The engines are rough, the gearboxes whine and tyre and wind roar is ever present. And the brakes… well, they don’t work. But they’re free from distractions. You can forget about Bluetooth integration, touchscreen infotainment systems or seats that will heat, cool or massage the driver. Consider it a bonus if none of the springs have worn through the seat. These cars are from the era of VHS and Betamax video, when the height of sophistication was to have an electric aerial for the radio and a self-winding sunroof for the rare days when it didn’t rain. How reliable are 1970s and ’80s cars? They’re good at breaking down, but the bonus is that there’s not too much to go wrong and when things do break, they’re relatively easy to repair. A network of specialists and owners’ clubs mean spare parts are still obtainable. But don’t let that put you off. Fortune favours the brave. And if you take a chance, you might just make a small fortune.